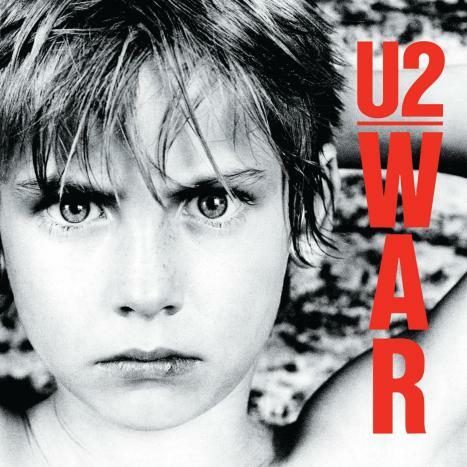 War was U2's third album and could be considered their 'breakthrough' recording. Featuring the big hit of Sunday Bloody Sunday, the album signalled a new change in U2's song subject matter - pushing aside some of the more earnest spiritual side of Boy and October, War's lyrics were more politically charged which became a feature of U2's song writing. The song 'Seconds' was focussed on Bono's concerns about nuclear arms and features The Edge singing the first two verses. War was produced by Steve Lillywhite and was U2's first number one album in the UK, knocking off Michael Jackson's Thriller of the chart's top spot.